TRANSLIT has a proven track record in translating documents and texts from and to Irish language taking into consideration cultural differences, dialects and target audience in order to provide high quality translation services. 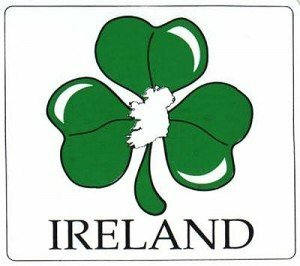 Irish, also referred to as Gaelic or Irish Gaelic, is a language of the Indo-European language family, originating in Ireland and historically spoken by the Irish people. Irish is spoken as a first language by a small minority of Irish people, and as a second language by a rather larger group. Irish was the predominant language of the Irish people for most of their recorded history, and they brought it with them to other regions, notably Scotland and the Isle of Man, where through earlier branching from Middle Irish it gave rise to Scottish Gaelic and Manx respectively. Of the 1.77 million who indicated they could speak Irish, 77,185 said they speak it daily outside the education system. A further 110,642 said they spoke it weekly, while 613,236 said they spoke it less often. TRANSLIT only works with native speakers and linguists from Ireland allowing to keep the cost down and offer competitive pricing to our customers, while insuring the best result and highest quality. To find out more about Irish Translation Services, please contact us or use buttons below to place an order.